If you aren't sick of all the Tarina Tarantino posts of late, here's another one - the last one for a while, I might add. In addition to the eyeshadow line there is also a blush line. 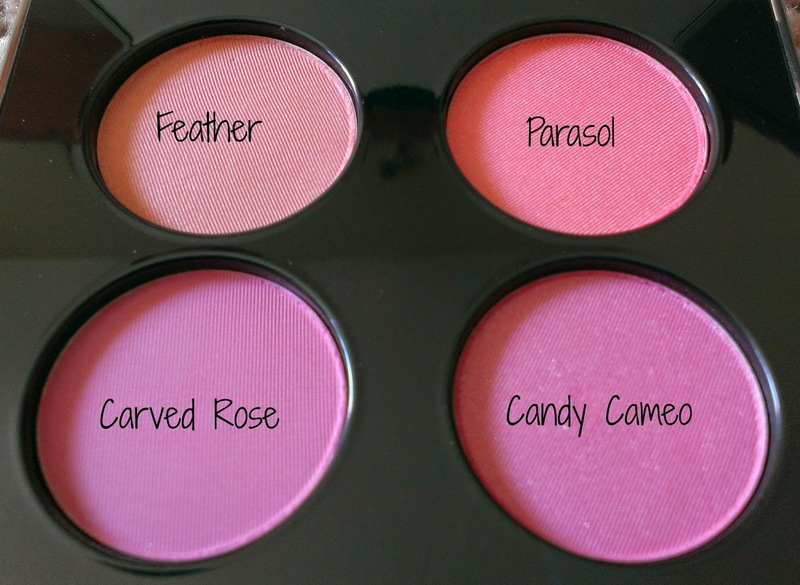 You can buy most of the blushes in this palette as standalone shades, with the exception of Candy Cameo, which is exclusive to this palette. Do I think these blushes are as good as the eyeshadows? In a word - no. But let's dig deeper and find out why, shall we? The major advantage to having a blush palette is that it's travel friendly and also appropriate for daily use - instead of rummaging through a bunch of single blushes, a palette will offer you several shades at once, making choosing less cumbersome. This palette is made of a metallic silver (stainless steel?) but isn't heavy at all. It's sturdy though, and will hold up to travel well. 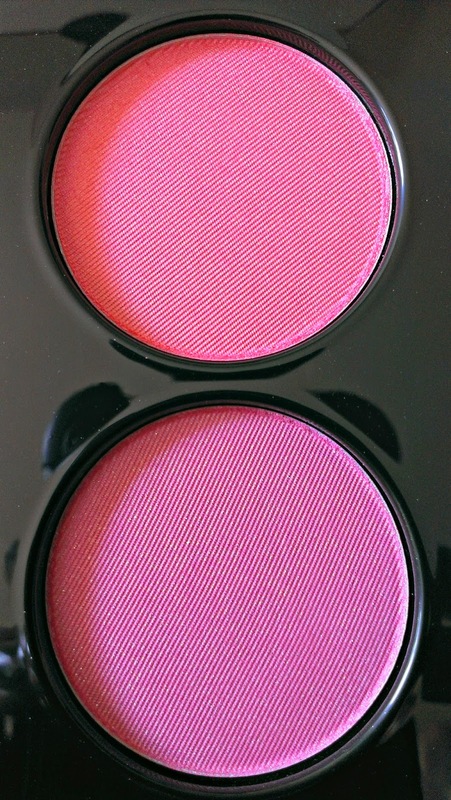 The inside of the palette houses four blushes, and has a good-sized mirror. There are two warm toned blushes and two cool toned blushes. 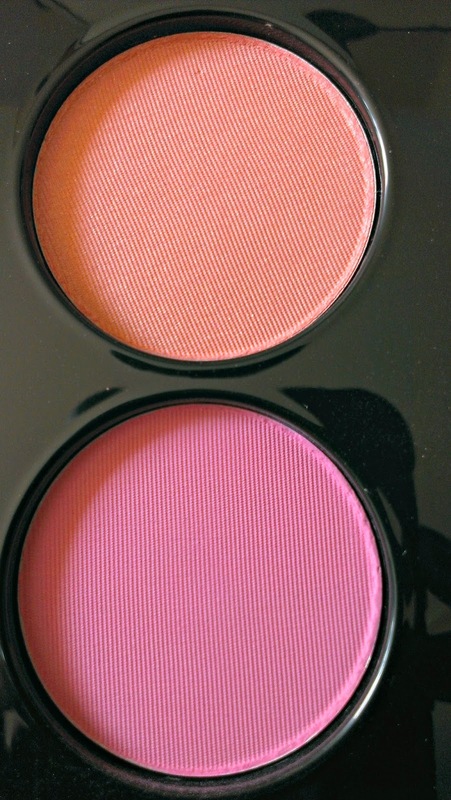 Each blush is slightly larger than a MAC eyeshadow pan, which means there is plenty of product for you to play with. Feather (top) is a warm, shimmery light peach-y orange. Carved Rose (bottom) is a cool, matte deep rose-y pink. 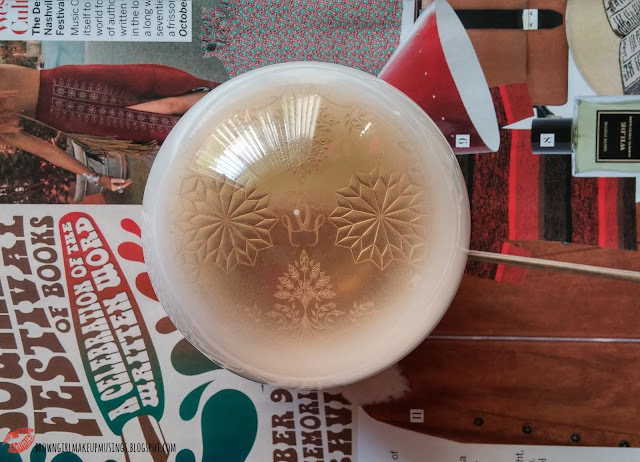 Parasol (top) is a warm, shimmery coral. Candy Cameo (bottom) is a cool toned shimmery bubblegum pink with silver glitter. 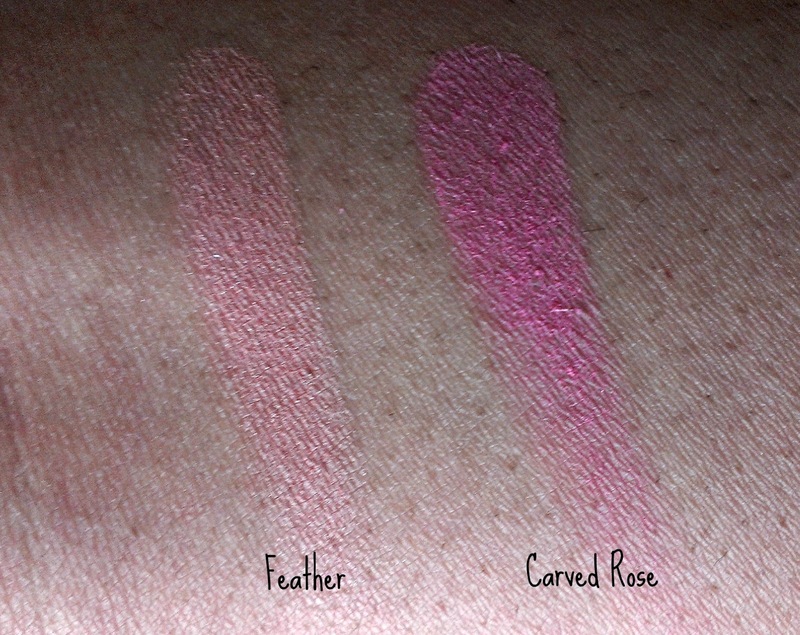 All four blushes are very pigmented; however because of the shade, Feather required a little building up to be seen on my skintone (won't be a problem for fairer skins.). 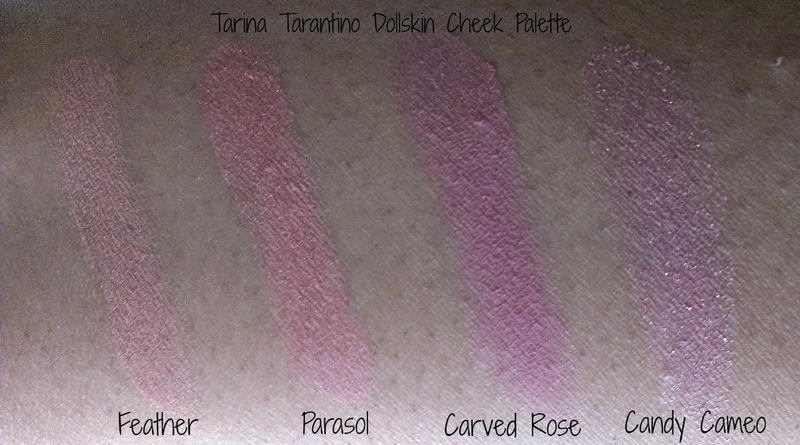 Carved Rose is gorgeous, very pigmented and smooth, but was a little on the chalky side. Parasol is another lovely shade, and the best of the four in terms of pigmentation, quality and ease of use. Candy Cameo is a nice shade, pigmented but feels a little gritty because of the glitter in it. Also, the silver glitter tends to gather in pores, so caution is required when using this shade. All four shades are easy to apply, blend out smoothly, and are pigmented. They are lovely shades that will suit a wide range of skintones. I also like that they have a variety of finishes (matte, shimmer and glitter) but my personal preference would have been to chuck out the glitter shade and put in another matte shade. Wear time was decent, with fading seen at the 4 hour mark, and a retouching needed at the 5th hour. I predict that if you have normal or dry skin it will last longer on you. Do you need this? Depends. If you don't have many blushes and are looking to expand your collection, sure. If you're looking for a a way to streamline your makeup routine, this will help. If you like shimmery blushes that are pigmented, sure. If you already have several blushes in your arsenal, or if you're not enthused over shimmery/glitter blushes, you might want to skip this. I'm a huge matte blush person, so something like this - though pretty is a big no for me. 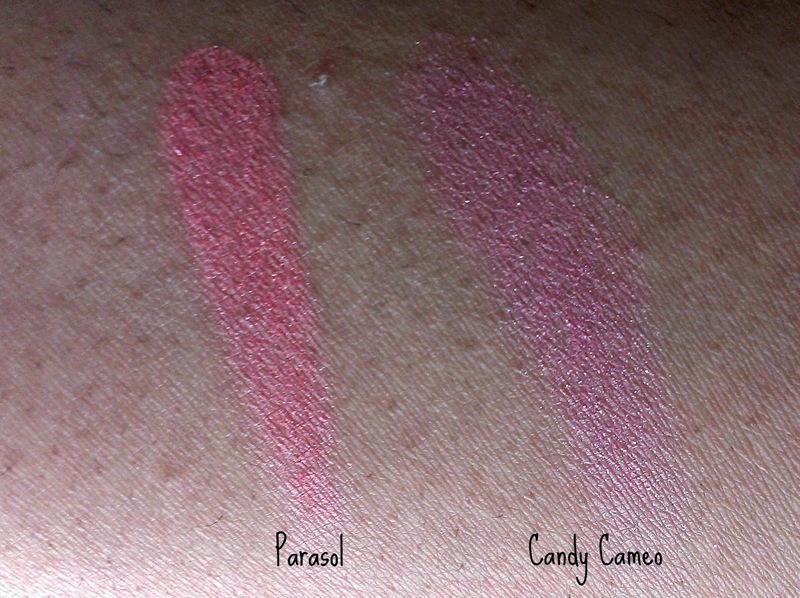 Yeah; I mean, I like Parasol, but it's really not worth getting the palette for one blush. I'll have to play around more to see how I can best use them - probably will layer them over cream blushes for a better finish. 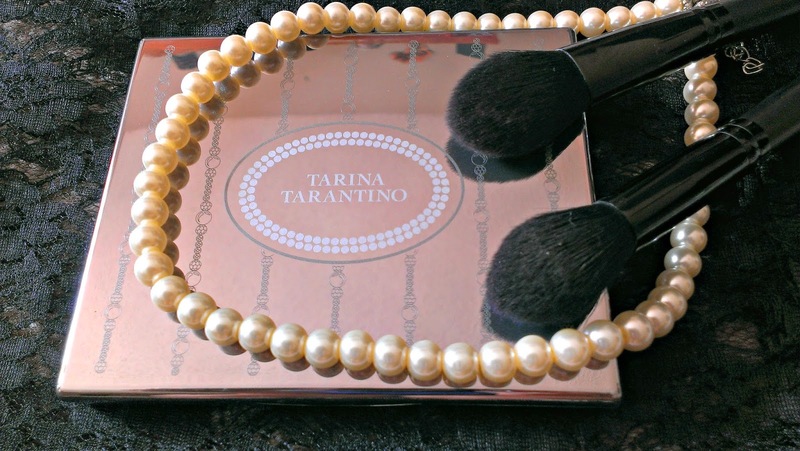 If you like shimmer and glitter blushes, you will like these! 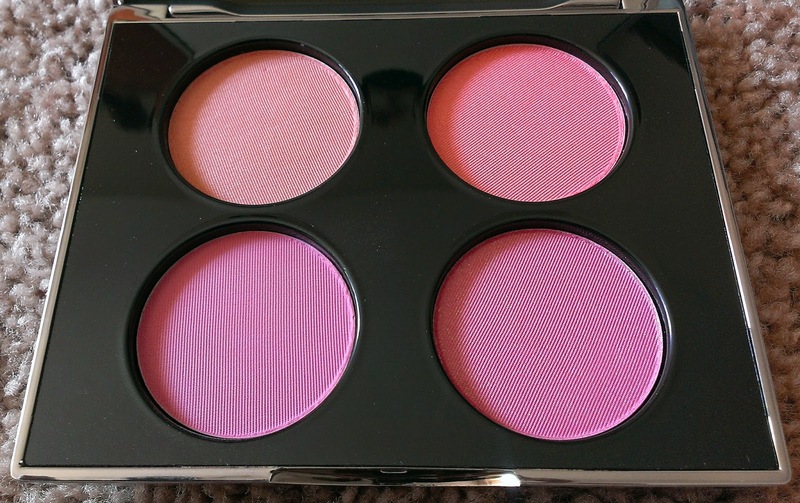 The blush quality is good and the pigmentation is also good. On me, there's no ashyness or "fake looking". They are very pretty blushes - I just personally prefer matte ones! I like the colours, but they all look just a tiny bit chalky... maybe I never see chalkiness, because I am the approximate colour of chalk in the first place (T_T), but I am averse to it in a all things! :-P Especially lipsticks, but for me, life is too short for any things that make me paler! I'd agree - they are a wee bit chalky, but you don't notice except for the matte blush (Carved Rose). But they all blend really well!